White-tailed ptarmigan use camouflage for protection, changing from mottled brown in summer to pure white, other than beaks and eyes in winter. 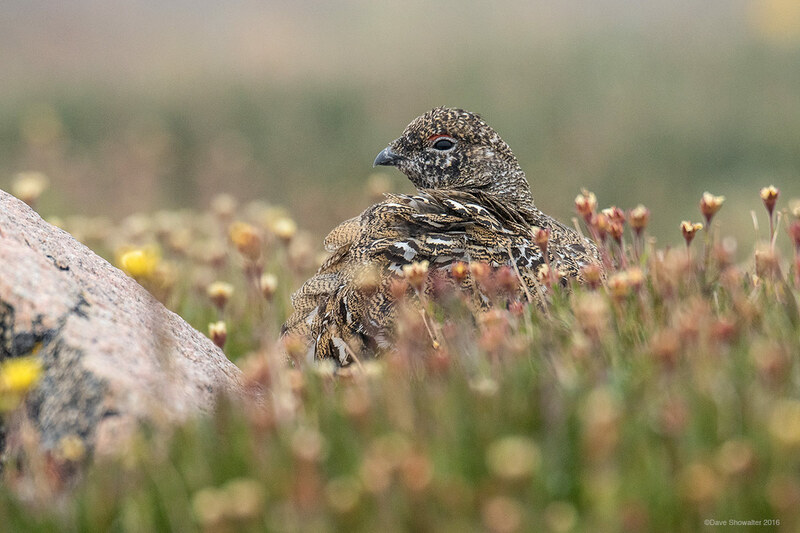 Often called rock ptarmigan, the smallest North American grouse is nearly impossible to spot in an alpine talus (rock) field - or late summer wildflowers on alpine tundra. These remarkable birds spend their entire life cycle in the alpine zone. Photo © copyright by Dave Showalter.